Hydrogen sulfide, or H2S, is a dangerous (and potentially lethal) toxic gas which is invisible to the naked eye. It’s colorless, flammable, poisonous, and even corrosive — and the unfortunate truth is that it is readily prevalent in many industrial spaces. While there is often a discernible sulfur scent associated with hydrogen sulfide — think rotten eggs — it can sometimes still go unnoticed and cause major short and long-term health effects. Some of these risks include fainting, respiratory paralysis, seizures, coma, and possibly death. That’s why it’s imperative to protect lone workers in these dangerous environments by providing them with the education, tools, and resources necessary to survive. At Safety Scan, we provide innovative solutions, like the G7 wireless gas detection and lone worker monitoring device. The G7 is the future of gas detection and can help save lives by detecting the presence of hydrogen sulfide, alerting emergency response teams to a gas leak or downed lone worker, and enacting the proper evacuation protocols for the facility. The modular design of the G7 allows it to be the ultimate device for maximum lone worker safety. And in situations where hydrogen sulfide may be present, no device can deliver better protection. 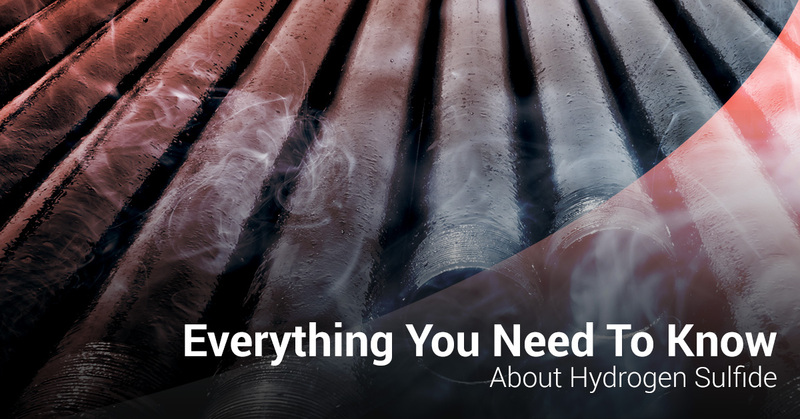 Keep reading to learn more about hydrogen sulfide, how to protect against leaks and damaging effects, and how the G7 is the future of lone worker safety. Contact Safety Scan USA today to request a free demonstration of the G7 at your facility. Hydrogen sulfide, or H2S, is a corrosive, combustible, and toxic gas which is defined by its sulphuric smell and toxicity which is on par with carbon monoxide. H2S occurs naturally in elements like crude petroleum and natural gas, though it can also be produced during the breakdown of organic matter and even in sewage. H2S is heavier than oxygen and typically collects in low-lying, enclosed, and poorly ventilated areas like manholes, sewer lines, oil and gas drilling sites, wastewater treatment facilities, and utility facilities. While it is typically noticed by its strong odor, it is not recommended that your sense of smell by the sole determiner of the presence of hydrogen sulfide. That’s because at high concentrations, your ability to smell H2S can be lost instantly, leaving you susceptible to exposure and potentially fatal ramifications. That’s why the need for a lone worker safety device like the G7 is so critical in these spaces; the G7 is the world’s best portable H2S monitor. It truly has the ability to save lives, which is imperative in these working sectors. While the health ramifications of H2S vary by the level at which you were exposed, and for how long, the presence of H2S for even a short time period can be hazardous. Low Concentrations: Low concentrations of H2S can cause eye, nose, and throat irritation along with problems in the respiratory system. With low concentrations, the effects can be slightly delayed. Medium Concentrations: As the levels of hydrogen sulfide begin to rise due to a leak in a confined space or elsewhere, the health risk also begins to increase. Even moderate concentrations of H2S can produce severe eye and respiratory irritability, headache, dizziness, nausea, coughing, vomiting, and difficulty breathing. High Concentrations: Obviously, H2S gas is most dangerous when exposed at high levels. High concentrations or long-term exposure to H2S can result in shock, seizures, suffocation, coma, and death. At high concentrations, the effects can occur almost instantly, as quickly as just a few breaths. Because of its toxicity, it’s absolutely imperative that companies within the wastewater, sewage, mining, oil, and gas industries have all of the proper tools and procedures in tact to protect their lone workers operating in remote environments. H2S is a silent threat, but an effective gas detector can thwart the risks in a matter of seconds. The G7 is a wearable, portable, wireless gas detector with highly efficient sensors capable of picking up even trace amounts of hydrogen sulfide and other dangerous gases. Complete with fall detection, messaging, speaker phone, SOS alerts, automatic periodic check-ins, GPS location tracking, and a live safety monitoring team on stand by, the G7 delivers like no gas monitor that came before it. Contact Safety Scan today to learn more about the G7 and request a demonstration at your facility to see how we can help provide lone worker safety solutions.